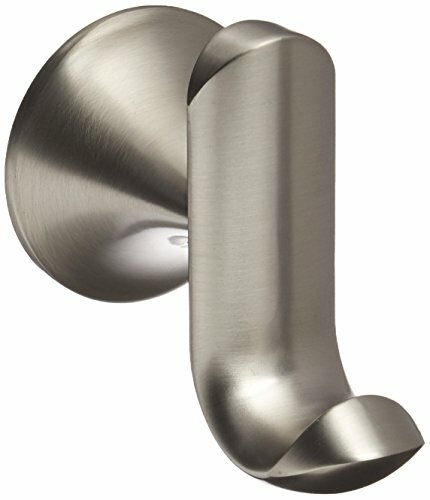 YB9203BN Finish: Brushed Nickel Features: -Robe hook.-Create a bright, highly reflective, cool grey metallic look.-Product is featured in the HGTV 2012 green home. Dimensions: -Dimensions: 5.87" H x 2.3" W x 4.4" D. Collection: -Fina collection. Warranty: -Limited lifetime warranty.